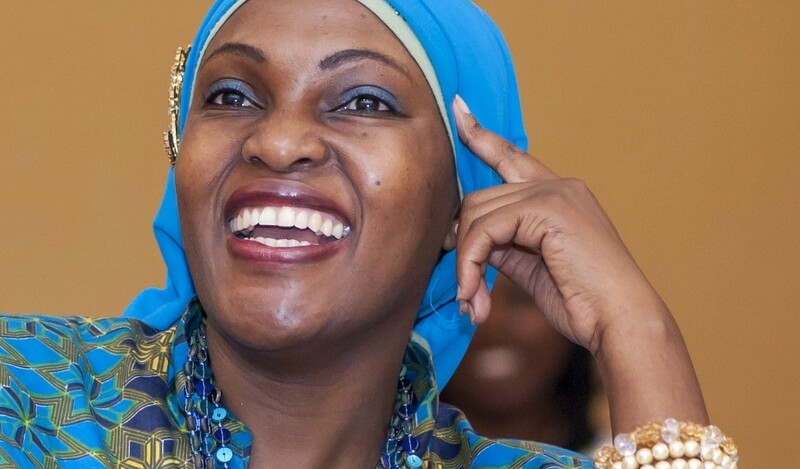 Few would have guessed from Rehmah Kasule’s humble beginnings where the Ugandan entrepreneur would end up today. From empowering women around the country to shaking hands with heads of state, Kasule is arguably one of the most well-known female businesswomen in the region. The youngest of 12 children, Rehmah Kasule grew up in the tiny Ugandan village of Gomba. Her father died when she was eight. Although it was a difficult time for the family, her mother’s strength pulled the family through. Despite having very little education, her mothered defied the cultural norm that pressured women to remarry and give up their children. Her mother’s example gave Kasule the motivation to pursue her goals and help other young people along the way. From the village school in Gomba, Kasule then went on to Nabisunsa Girls’ Secondary School in Kampala. There, she learned the importance of women helping women — coming from the village, she spoke no English, so she asked a classmate to teach her. Every day after school, they would sit outside, and her classmate would tutor her. Kasule eventually became a debate champion. In university, Kasule studied fine arts. Her mother’s influence, her classmate’s help, and her experience in debate all gave her the confidence to found Century Entrepreneurship Development Agency (CEDA), a nonprofit organization that mentors women and youth to become the next generation of leaders and entrepreneurs. For her work, the International Alliance for Women presented Kasule with a World of Difference Award in 2011, and in 2014, she was awarded The Goldman Sachs and Fortune Global Women Leaders Award. In a conversation with AkilahNet, Kasule explains her commitment to lifelong learning, what’s missing in African education, and the importance of creating a new generation of female leaders. Within two weeks of graduating from university, I landed a position at SCANAD. After two years, I quit that job to start my own agency, Century Marketing. I realized then that I didn’t have any experience in marketing or branding, so I enrolled in the Chartered Institute of Marketing [in the U.K.], and I became a chartered marketer. I’ve also done a lot of leadership courses along the way, including the British Council’s InterAction Leadership program, then one at the Aspen Institute, and a Vital Voices Global Partnership. I’ve enrolled at the Aspen Institute – African Leadership Initiative and I’m finishing my master’s in strategic planning at the University of Edinburgh. I think it is so important to keep learning. I decided if I don’t know something, I’ll go out and learn it. I wanted to go into consulting, and I didn’t know anything about it, so I enrolled in a program with the International Trade Center [in Geneva] to become an enterprise development consultant. Why do you think African countries are failing to instill leadership skills in our students? It’s the education system. I always say that the greatest injustice facing Africa is not poverty, corruption, AIDS, or even the lack of access to education. The most profound problem is the failure of the education systems to empower people as leaders to solve these challenges. We’re not taught to think critically; we’re just taught to cram. They don’t teach us to think outside the box. This has limited many people from creating their own solutions because we’re not taught to think beyond what we see. Why is it important to you to create female leaders? When you invest in a woman, you invest in a community. The women we support at CEDA always talk about their family members. This is why social and economic empowerment are so important. The more women are empowered, the more solutions we will find in Africa. There’s a positive correlation between unleashing female talent and economic development. When women are empowered, equipped, and skilled, they work better, think more, and make better decisions for their lives, their children, and everyone around them. I’ve had both female and male role models. Growing up, I always wanted to be around people who were much older than me, people who were wealthier and more educated than me. 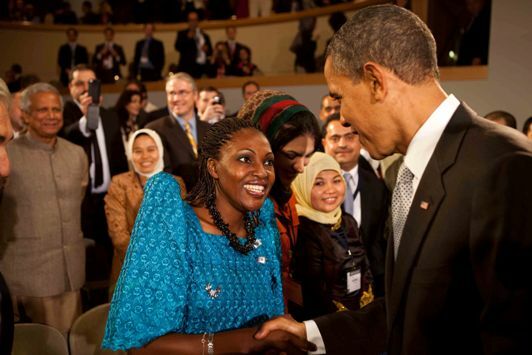 Rehmah Kasule with U.S. President Barack Obama. Photo by Pete Souza. Because I was in a girls’ school, I always related to my classmates’ moms and aunts, but I’ve always had great male mentors. One of them was my brother, who took care of me when my father died. He used to work in coffee marketing, and he would always have international visitors, whom I interacted with. I used to be very shy, but being around these people instilled confidence in me. CEDA has so many different focus areas — sexual and reproductive health, leadership skills development, peace and intercultural dialogue — how do you bring them together under one umbrella? When we looked at women’s empowerment, we realized that we need to empower people holistically, and to do so we have to have a holistic approach. For example, if we tell women that domestic violence is wrong but don’t tell them how to empower themselves economically, they will always be victims because they have to depend on men for money. When we go to schools to talk to young girls about sexuality and sexual exploitation, we realized that these things go hand in hand. If you talk about social effects, you also have to talk about the economic effects. What is the one thing you are the most proud of having accomplished? My programs. When I see people empowered, when people who were down, people who had given up, people who had no hope for their future start having dreams and starting their own businesses. What would you tell young women today trying to make it? You need to believe in yourself. First, you need to discover who you are. If you know who you are, you know what you want. And you have to dream. If we don’t dream, we don’t achieve. Believe in yourself, and even when people try to discourage you, you’ll still be able to achieve your goals. I think it’s very important for Africa to change the narrative about girls’ and women’s empowerment. We need to realize we are one as Africans. Africa’s challenges will be solved by us. It won’t only take gents like Nelson Mandela to transform Africa. It will take ordinary people like me to transform our future. 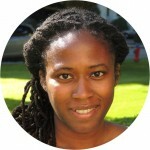 Rehmah Kasule is the founder and president of Century Entrepreneurship Development Agency.